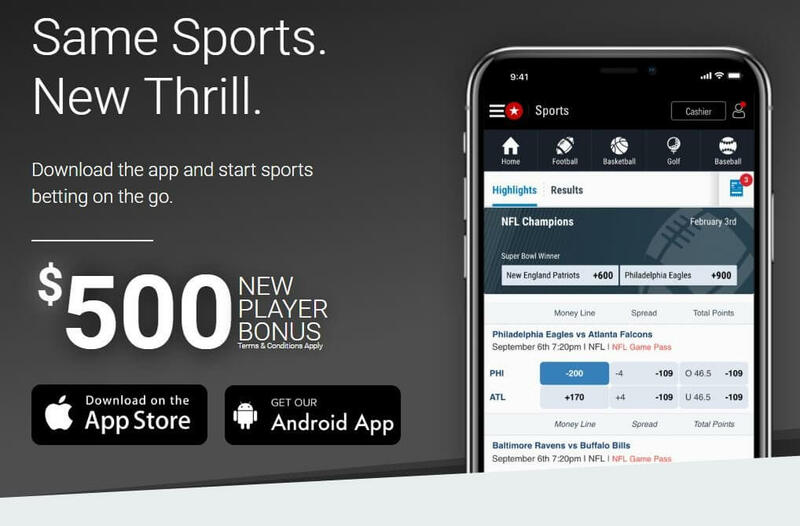 BetStars, the sports betting arm of the PokerStars group, has launched the BetStars Sports Betting app for mobile betting. With weekly free bets and a $500 new player bonus*, BetStars Sports Betting offers great odds to bet on your favorite sports. Remember to check out our full BetStars Sportsbook review. *Place your first sports bet and get a matched Free Bet up to $50. Moreover, for every $150 you wager after that, you'll get another $50 Free Bet up to $450 (bet a total of $1,350 to redeem the full value of your bonus). T&Cs apply, 21+ in NJ. Is there a BetStars Sports Betting Bonus? Register a new account and start betting! Even though the PokerStars brand was originally just a poker site, the BetStars Sports Betting app is an excellent way to bet on sports. The site provides odds for over 30 sports, including the most popular betting sports and some of the more obscure. One of the best features on the sportsbook app is the cash-out ability. Open bets can be closed to take advantage of a positive shift in the odds. The feature is akin to trading on a betting exchange. The BetStars app calculates the return based on the original odds and stake, and the odds that apply when the bet is cashed out. More sports bets are now placed on mobile devices than desktop computers and the BetStars app is part of this trend. The sports are easy to access and navigation is intuitive. Football, basketball, and tennis are among the most popular betting sports. New customers must register before placing a bet. This brief process involves entering personal, contact and account details. Once the account has been confirmed customers can make a deposit and place bets using the BetStars app. The Bet Slip accommodates singles and accumulators. Once the bet details have been entered and the bet placed the account balance is updated accordingly. The deposit methods available to BetStars app users include debit and credit cards, e-Wallets, and Bank Transfer. The minimum deposit is $10 and standard maximum deposit limits apply. There is no charge for placing funds into a BetStars app account and the money is transferred immediately and is available for betting. Once the initial deposit has been made a qualifying bet activates the welcome bonus. There is a lobby on the BetStars mobile app which has an option for the ‘Cashier’. Customers use this facility to withdraw funds and the usual time delays apply. Standard minimum and maximum withdrawal amounts form part of the process of taking money from a BetStars app account. Some banks and e-Wallets may apply charges but BetStars do not charge customers directly. The BetStars app support team can be contacted 24/7 by completing an email form or through a generic email address. The Help Center addresses many questions related to a customer’s account. Make sure to remember your welcome bonus when signing up on the BetStars Sports Betting app!